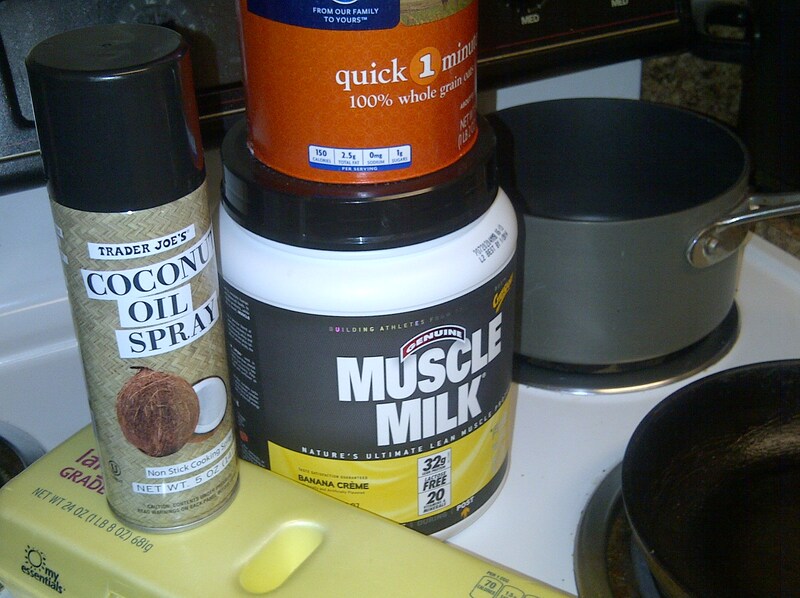 Mix together the oatmeal and protein powder in a bowl. Add in the flour and mix. Add in the whole egg and egg whites and stir until blended. It will be a little sticky until you add your water. 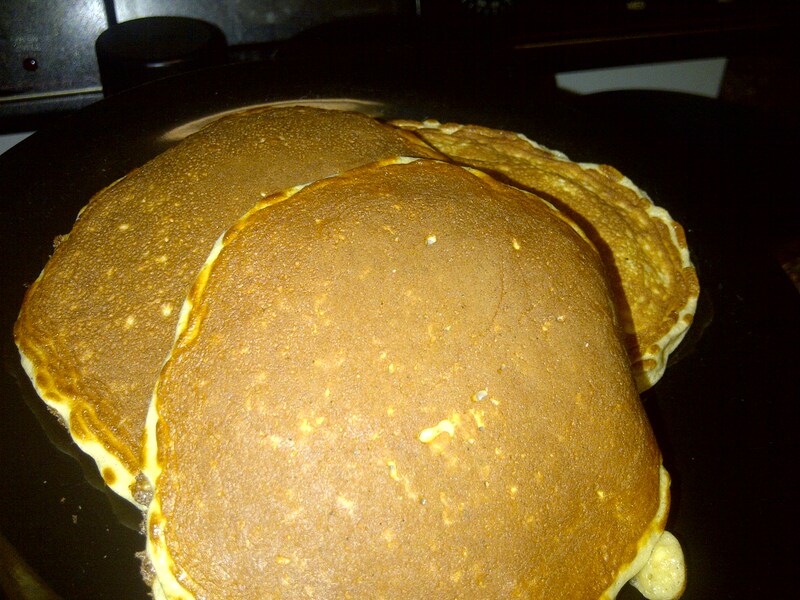 Add enough water to get the pancakes to a consistency that you prefer. Pour enough of the batter into the pan to make a small pancake. You should end up with about 3 pancakes. Use sugar free syrup if you like. Enjoy! It’s easy to get down on yourself if you fall off the healthy eating/exercise routine. Playing the “mess up” over and over again in your mind only increases your chances of continuing to make the same mistakes. The next time you get a little off track, start writing down where you think the mistake started. Were you frustrated, sad, tired…why did you miss your workout, or why did you eat what you were not supposed to? Don’t play that over again in your head…just acknowledge it and move on. The best way to be successful is to start encouraging yourself and start talking about what you do RIGHT. You had a good workout? Congratulate yourself on it. Replay the victories in your health and fitness journey, not the mistakes. When no one else encourages you, you better encourage yourself. Do not rely on outside support but on your own inner strength. Until you develop this characteristic, you will keep making the same mistakes over and over again. Remember that what you think is what you will become!! So there seems to be many people who think that exercise should be miserable and boring. But if that is how you approach getting fit, than you will never make it a lifetime habit. The most important thing is to do what you like! If you like to run, sign up for a race and challenge yourself to make a certain time. If you like to dance, go to a dance class! If you enjoy lifting weights, make lifting goals for yourself. You must enjoy what you are doing but don’t mistake that for it being easy. You have to also challenge your body because it will get used to doing the same routine over and over again. If you find yourself struggling to exercise…maybe re-think your approach and try something new. Don’t let anyone tell you that you have to do one specific thing to stay fit. There are hundreds of activities that will burn calories. We all get a little bored sometimes but don’t use that as an excuse to stop exercising. Keep going until you find that special thing that sparks your interest.